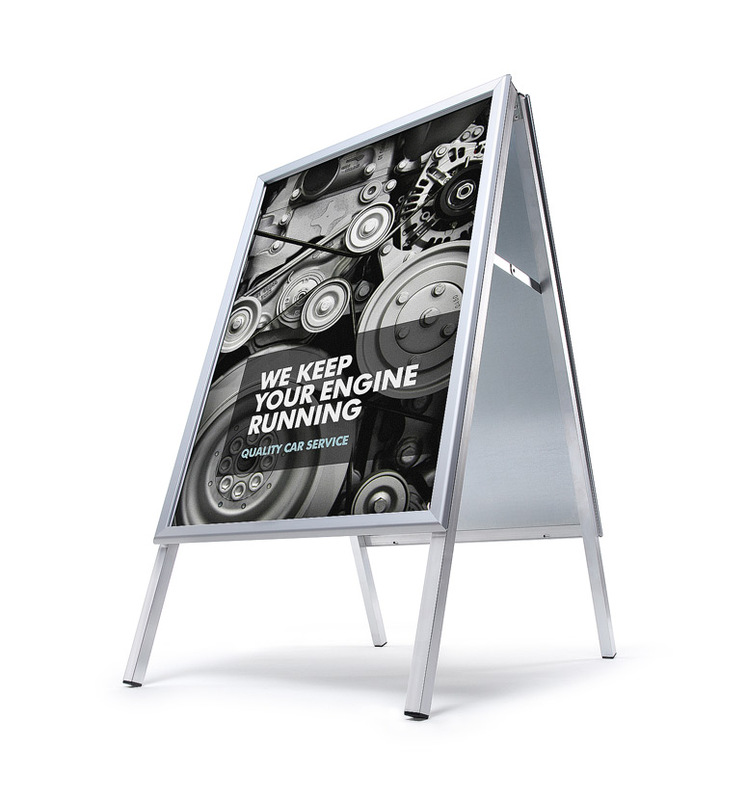 Our Snapframe A Board comes in 5 sizes to give you the option of displaying a large format poster in a lightweight yet robust unit. The poster facility is the same as our wallmounted snapframes and simply snap open/shut for your poster to be changed. Also now available in black.